SoapUI is a free program developed for Windows, Mac and Linux operating systems. Developed as a way to test SOAP (Simple Object Access Protocol ) and REST (Representational State Transfer) web protocols, SoapUI provides the tools and features one needs to carry out a number of different tests. These tests include functional testing, load testing, security testing and mocking. As an open source program, SoapUI was the first API testing tool of its kind on the market and has since been shaped to be the product today through help from developers. 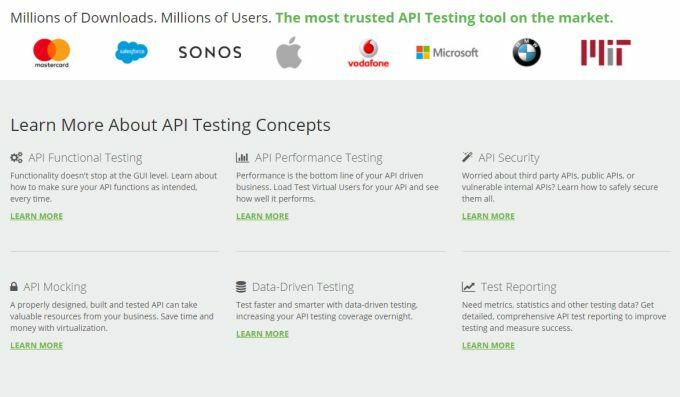 With millions of users today, it’s one of the most widely available API tools.